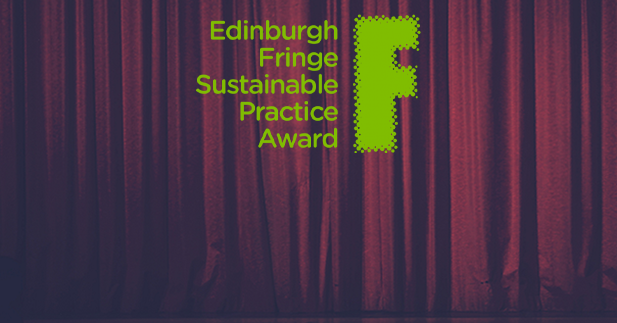 LUNGS Announced as Winner for 2015 Fringe Sustainable Practice Award! 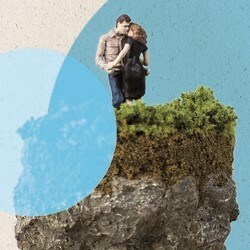 The 2015 Fringe Sustainable Practice Award for sustainable design, content and production at the Edinburgh Festival Fringe, was awarded today to Paines Plough for their production of Lungs, written by Duncan Macmillan, and performed at the Roundabout at Summerhall. In a ceremony at Fringe Central on Friday, August 28nd at 4:00 pm, after presentations by Brendan Miles from The List and CSPA Director Ian Garrett, Jessica Fosteskew, stand up comedian and writer for Channel 4, BBC and Radio 4, presented Paines Plough with the 2015 Award for Sustainable Production at the Edinburgh Festival Fringe. Th e show was performed in the round in the company’s custom-made ‘Roundabout’ theatre; itself exemplary of sustainable theatre design, with all the LED lighting capable of being powered by 13-amp sockets. 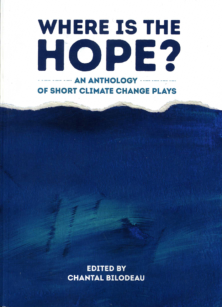 It is also a long-term production, having premièred over 4 years ago, and with an upcoming tour planned, and their theatre’s portability enhancing access to the arts in lesser-served areas of the UK. The assessment panel were particularly impressed by the way in which the production sensitively integrated and normalised sustainability concerns alongside other common decision factors relating to employment, children and lifestyle – and made them both laugh and cry! 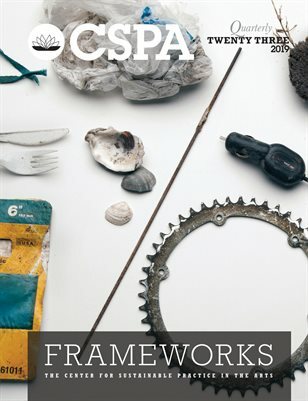 Run by the CSPA and CCS, with media partnership from The List, the Fringe Sustainable Practice Award is an annual celebration of performance that is working for an environmentally sustainable world, now in its 6th year. Open to all productions participating in the Edinburgh Festival Fringe, the award assesses all aspects of a production’s sustainability, from design to content. The award is determined by the submission of a questionnaire about the sustainability considerations of the practical production elements of the show, and how environmental and sustainable themes were considered along the way. From the initial applications, the assessors selected a shortlist of 21 productions, published online by The List. These 21 shows were reviewed during the Edinburgh Festival Fringe (you can read our CCS FSPA diary here), and based on their questionnaires and the reviews, the assessment team voted for the production which most aligned with the priorities of the award. Five finalists – Garden, Lungs, Scarfed for Life, Sing for Your Life, and The Handlebards: Secret Shakespeare – were identified as outstanding entries before the winner was selected. Click here to read more about the other 2015 FSPA Finalists. 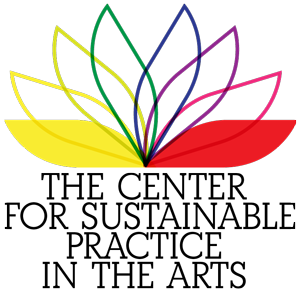 The award for Sustainable Practice on the Fringe was first launched in 2010 at the Hollywood Fringe and Edinburgh Festival Fringe. Previous recipients include: The Pantry Shelf (Edinburgh 2010), produced by Team M&M at Sweet Grassmarket; Presque Pret a Porter (Hollywood 2010), produced by Dreams by Machine; Allotment (Edinburgh 2011), produced by nutshell productions at the Inverleith Allotments in co-production with Assembly; The Man Who Planted Trees (Edinburgh 2012), produced by the Edinburgh’s Puppet State Theatre; How to Occupy an Oil Rig (Edinburgh 2013), by Daniel Bye and Company, produced by Northern Stage; The Handlebards: A Comedy of Errors (Edinburgh 2014), produced by Peculius at the Royal Botanic Gardens Edinburgh. The post Winner Announced for Fringe Sustainable Practice Award! appeared first on Creative Carbon Scotland.